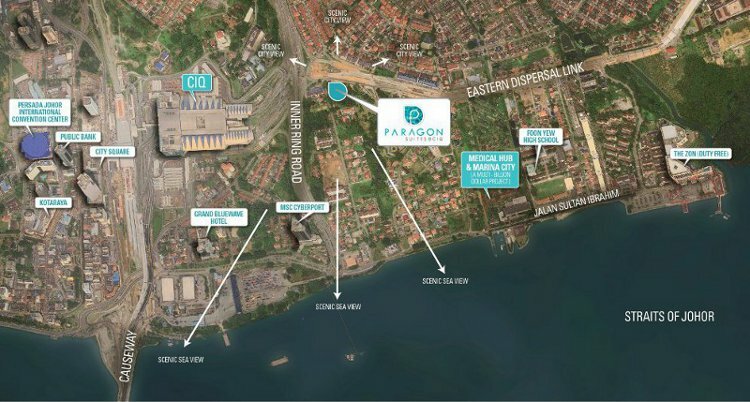 Paragon Suites Iskandar Johor Bahru New property launch near JB CIQ . Tower B Phase II Launch 28th April 2013! 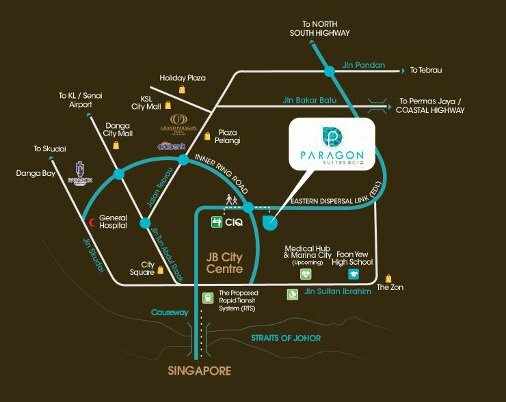 Paragon Suites Iskandar Johor Bahru (JB) @ CIQ is a freehold premium condominium development with serviced apartment status located at right at the heart of Johor Bahru (JB), near the proposed future RTS-MRT link station. It is the Perfect Getaway Home Investment within easy accessiblity of many Singaporeans! Attractive Sales Package to be announced soon..For updates Register for Paragon Suites VIP Pass Now! 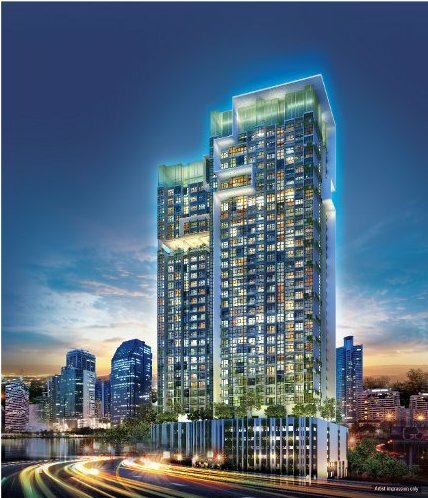 "Tower B Phase II Release"
Call 90608436 to Book Your Appointment Now! 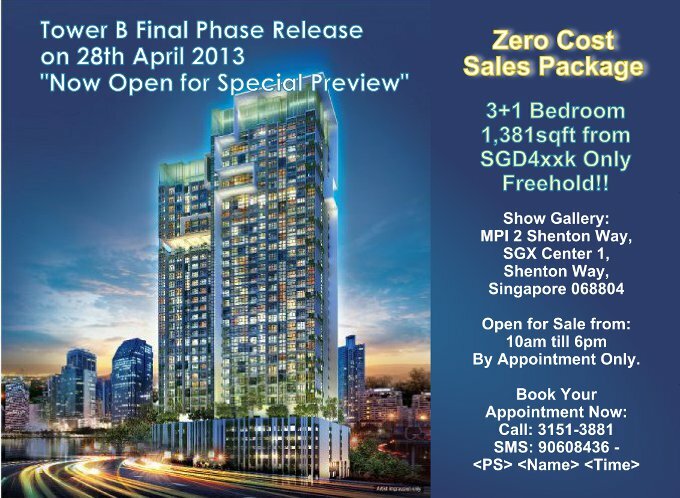 Tower B Phase II Launch 28th April '13"
Click here to Register for Show Gallery Appointment NOW! Located at right in the heart of Johor Bahru and near future RTS ( JB MRT) station expected completion 2018. Toady there are about 100,000 people crossing the causeway each day. When RTS station is ready, urban tourism in Johor Bahru is set to increase. Huge rental potential and a much sought after 2nd home. Paragon Suite is well connected to major arterial roads and expressways such as Johor State Route J5, Tebrau Highway, Eastern Dispersal Link (EDL) that connect to the North-Soth Highway to Kuala Lumpar City and the Iskandar Coastal Highway that will zip across to Nusajaya town within 20mins drive. Paragon Suites Iskandar Johor is located at the junction of Jalan Stulang Darat and Jalan Inderaputra right in the heart of Johor Bahru CBD and just minutes away from the Singapore Sultan Iskandar CIQ and near proposed future RTS-MRT link station. 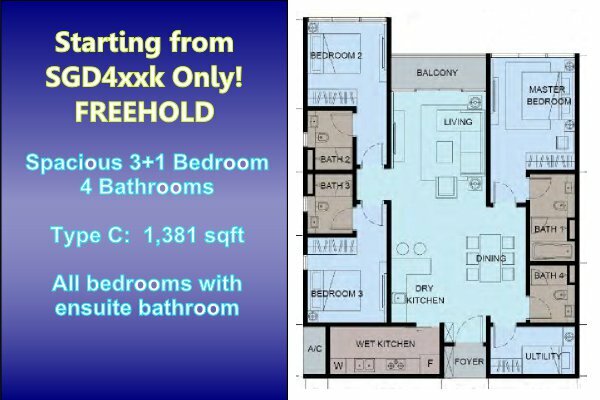 Certainly prime location development not to be missed! Paragon Suites is a freehold twin tower development with condominium resort styled facilities standing at 32 storey high, comprising of 461 units of 1/2/3/3+1 bedroom apartments and is estimated to be completed by 2016.
scenic seaview of the Straits of Johor overlooking the Singapore Sultan Iskandar CIQ. Connectivity to Paragon Suites' is unrivalled. It is just off the main arterial road Jalan Stulang Darat which is leads up to the new Eastern Dispersal Link (EDL) in a minute then branching off to major shopping destinations within 3 minutes travelling east. Further up north on the EDL is the North-South Highway. This highway will lead all the way to Kuala Lumpar city. Heading west bound is the Inner Ring Road, which leads to more shopping destination such as City Square, Danga City Mall and to Nusajaya town via the Iskandar Coastal Highway for even more entertainment, such as Legoland and Hello Kitty at Puteri Harbour, shopping at Bukit Indah and major education institutions at Educity. Next to Paragon Suites will be the upcoming highly ambitious RM10 billion Medical Hub, which will be managed by Singapore's Thomson Medical Centre. This development will also feature a mega-shopping mall and marina city that includes hotels, residential apartments, waterfront leisure and entertainment facilities. There's also the convenience of having The Zon, a duty free shopping centre, just a stone's throw away. Nusajaya is the key driver of Iskandar Malaysia. 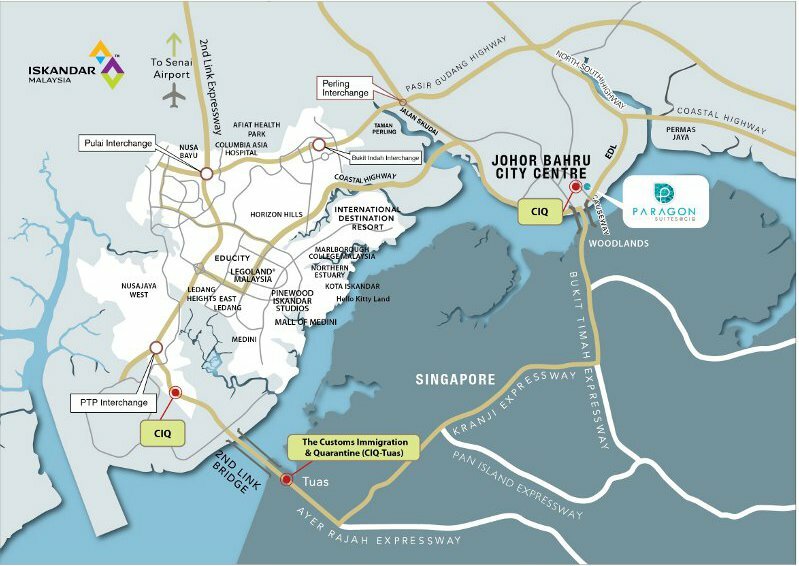 It comprises eight signature developments - Kota Iskandar (Johor state new administrative centre), the Southern Industrial and Logistics Clusters (SiLC), Puteri Harbour Waterfront Development, EduCity, Afiat Healthpark, Medini, International Destination Resort and Nusajaya Residences, all within a city that sets the benchmark for integrated developments across the globe. Nusajaya's masterplan is to develop with the best the world has to offer and turn it into the "World in One City", a cosmopolitan metropolis. Note: Pre-liminary information only and maybe subject to change.
" Tower B Phase II Launch 28th April '13"
Show Gallery Now Open Private Preview!